I'm trying to create a brochure on Publisher but I'm making the cover drafts in Designer. I've imported the Designer file on Publisher as image but it shows me only the first page. I cannot shift the content from its container to reveal other pages. Double clicking on the image the Designer file is opened inside a Publisher window but I don't know if there's a way to control the page view from it. Sorry for bothered this forum. 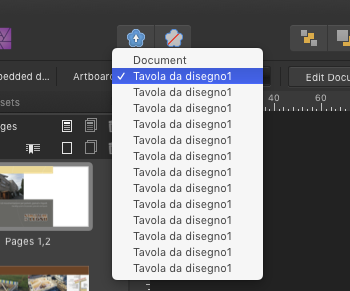 I've found the menu to manage the multiple pages of a linked Designer file (see the attachment). I already love Publisher. You guys rock!